I work at a library but I am not a librarian. 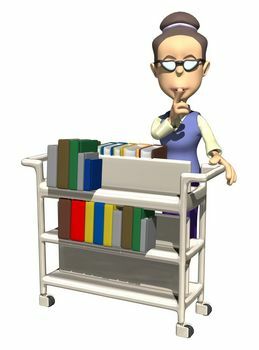 I do not know the Dewey Decimal System, get to read fun books to cute little kids, help patrons find materials, teach people to use computers, read at my desk between busy spurts so that I am up on the latest books, schedule live bands, host fun parties or research my family tree. Now let me be clear, that is not all librarians do. Not even close. They work hard to get a masters degree, continue their education, learn the Dewey Decimal System, plan programs that their patrons will enjoy, help people find exactly what they are looking for and much more. I am the public relations coordinator. When my job involves reading, it usually includes news articles so I can keep up with what is going on the community and books about social media as a PR tool, best practices and other materials to help me be better at my job. My office is not actually in a library so I don’t get to see the little kids picking books or enjoying storytime. I can’t just browse the shelves on a break to pick out the coolest games, latest movies or classic books I want to get lost in. I miss being in a branch but am reminded that I didn’t choose a career that involves staying up on the latest books, hanging with kids at storytime, working the reference or circulation desk. I chose a different type of customer service. I’m more behind the scenes holding a support staff position. My role is to promote the programs, materials and services offered at the Library. I have promotional items designed, work with the media, plan and promote fundraising events, take photos, oversee social media, work with traditional media, do a lot of paperwork and much more. I want our library to succeed, which means having high numbers at programs like storytime and supporting our staff. Since I do not work in the public setting, my position does have a little more flexibility. I am able to volunteer to work at larger library programs, which I love doing. I can pop in on a storytime when I have a few minutes. I have the opportunity to get to know coworkers throughout the system and assist patrons through social media. I was at a party last night and when I answered the question “Where do you work?” I was immediately asked if I knew the Dewey Decimal System as another friend hollered out “she’s a librarian.” I’m not sure why my friends find this so funny but I’m glad I can entertain them. I am also glad that my son finally believes that I don’t go to work to read all day (how cool of a job would that be!). Do your friends and family have any misconceptions about your job? Is there something you wish you could do at your job that others get to do? Share your thoughts here. Does your child have a Facebook page? Do you ever look at it? I look at A’s page at least once a day. I look at her status, as well as what everyone else is posting on her page. I am Facebook friends with most of her friends. My best friends are friends with A so they can keep an eye out too. In fact, when I allowed her to get a page, I required that she be friends with me and my two besties. Some might call this spying but I call it being a good parent. She is very aware that we all check her page and pay attention to what her friends are saying. Over the weekend I noticed that a middle school girl, who we don’t know because she goes to a local Catholic school instead of my daughter’s school, was cussing up a storm on one of A’s classmate’s pages. M, the classmate, knows the cussing girl who we will refer to as K. She was using every word you can imagine. She was referring to M’s classmates. It was obvious that she was jealous that M had other friends. M asked her to stop but she continued to use the F word and refer to M’s friends as the B word. Another mom actually commented basically asking the girl to clean up her language. Instead, the girl started making inappropriate comments about the mom. Another friend of M’s, L, also asked the girl to stop and said K was being rude. That just made K go off even more. The last time I checked, there were 72 comments on this post, most of them made by K and including very inappropriate language. M also used a few choice words but never used them to call someone a name. It was still inappropriate though considering she is only in the seventh grade and Facebook is a public forum. As I read this, all I could think is “where are their parents?” I would be mortified if I ever found out my daughter talked like this but to put it on Facebook, out in public for everyone to see, would probably send me to the bottom of a wine bottle! What was amazing to me is this went on for at least 24 hours and no one, other than the mom of a friend, ever stepped in. How did their mothers not see this? I would have seen it within the first few hours or heard from one of my friends. I would have immediately deleted the posts (yes, I have her password), made her delete K, the foul mouth friend, and then called K’s mom. These posts are still up as I write this. I don’t want to harshly judge another parent because I believe we all do the best we can but this really bothers me. 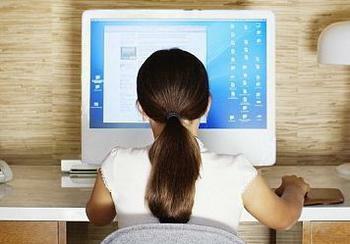 Do you monitor your child’s Facebook? What about their text messages? How would you have handled this situation if your child was involved? Do you think I should have stepped in even though I don’t know K at all and barely know M? I want to hear your thoughts!